Africason | African School | Africa son | History | Black Consciousness | Education: Africa to Record World's Largest Population Growth Over The Next 40 Years. Africa to Record World's Largest Population Growth Over The Next 40 Years. DAKAR—A new report predicts that sub-Saharan Africa will record the world's largest population growth between now and 2050. According to the Population Reference Bureau, the world's poorest region will more than double in population, from 1.1 billion to 2.4 billion. By the year 2050, the report states Africa's population is likely to grow by a staggering 1.3 billion people -- the largest growth of any region in the world, including Asia, which currently has about 60 percent of people on the planet. Sub-Saharan Africa, where fertility rates are among the highest in the world, will account for the majority of the increase. 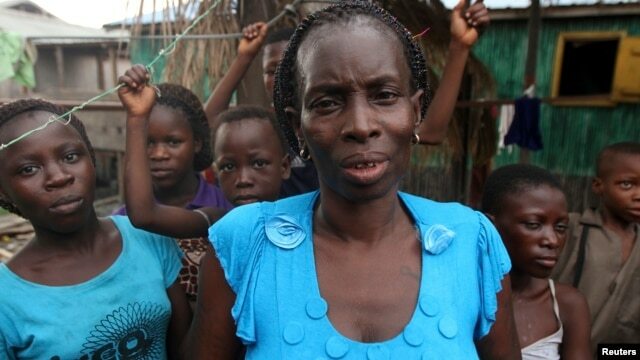 In sub-Saharan Africa, the population is expected to grow from 926 million people to nearly 2.2 billion people. Africa's population explosion has the potential to zoom past current estimates, said Carl Haub, a senior demographer at the Population Reference Bureau, a Washington-based non-profit group. 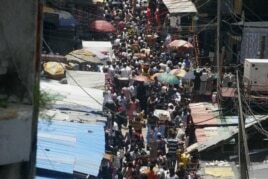 People crowd a street in a market in Lagos, which is expected to overtake Cairo soon as Africa's largest city. The Population Reference Bureau report shows that women in sub-Saharan Africa currently average 5.2 children during their lifetime, compared to averages of 1.6 in Europe and 1.9 in North America. In some African countries, such as Niger, the birth rate is as high as 7.6 children per woman. And even the assumption that this rate will decline steadily over the coming decades, the population of Niger is still expected to nearly quadruple by 2050, according to Haub. In the past, population growth in many African countries was slowed by high rates of HIV/AIDS and infant mortality. But recent improvements in access to health care across the continent mean that people are living longer. While this is a good thing, African countries must now actively work to reduce their fertility rates in order to keep future population growth in check, said Haub. Haub added that if African populations do grow at projected rates - or even faster - it could lead to many problems, including higher rates of poverty and unemployment, and environmental degradation. That trend might also affect foreign aid from donors, many of whose budgets are already strained by growing numbers of people who need assistance.